It’s been quite some time since the last Show Off article I posted. In case you’ve forgotten what they are, these “Show Off” articles are dedicated to owners who’d like to take pictures of their cars themselves (or taken by a friend) and send them over to us via email. Today we have this SLK owned by William (you might’ve also heard his alias/club W2R before), a fellow Indonesian who’s been living in Australia. 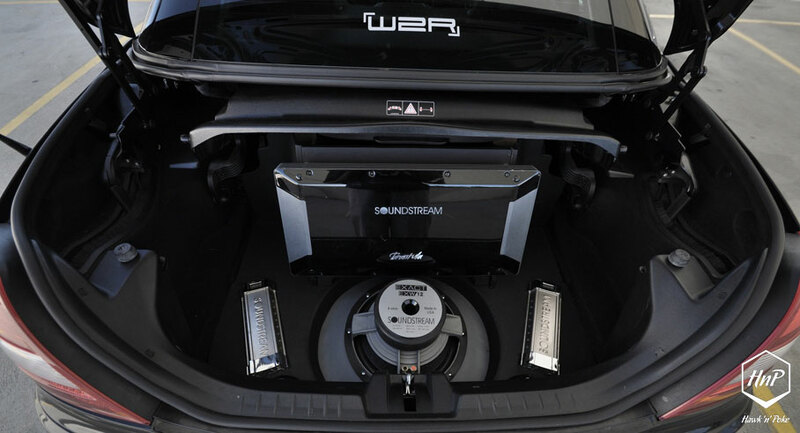 A former winner of the first Indonesian Jazz Tuning contest ever held back in 2005, he has made a name for himself in the automotive communities. 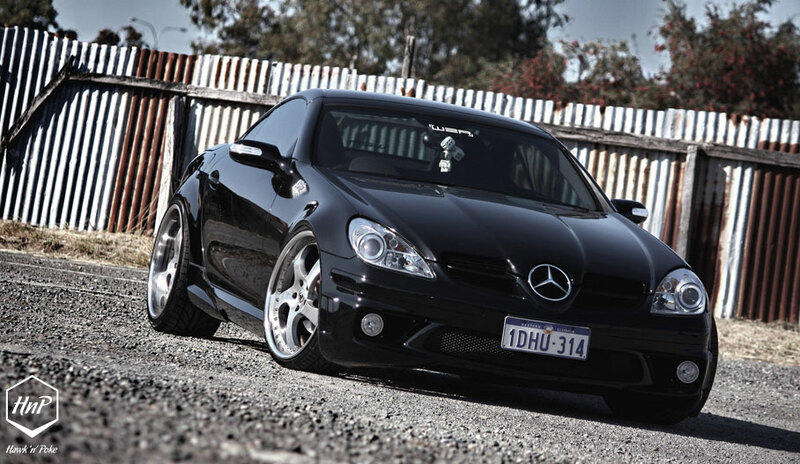 From Jazz to SLK and plenty of modified cars in between, William has constantly surprised us with his latest creations. 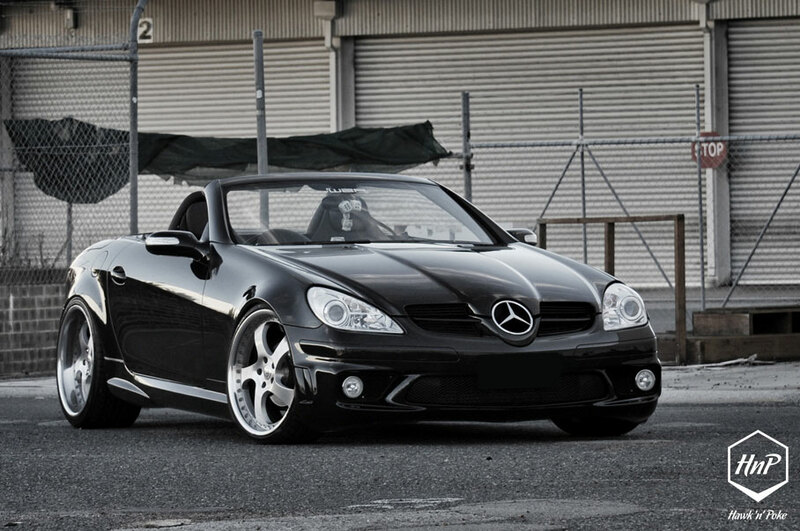 Undoubtedly the SLK is one of the tinier Mercedes Benz cars ever produced. It’s their answer to the consumer’s need for sporty, compact convertibles. Style meets performance under one practical platform. However, despite the SLK’s small body, William has managed to tuck in a set of 20″ deep dished, staggered iForged wheels (10.5″ rear!) underneath those fenders, with minimal wheel gaps thanks to the D2 coilovers. 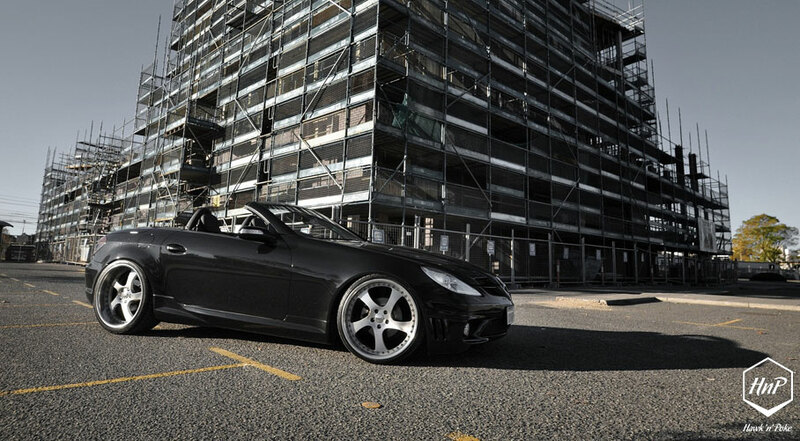 Coupled with the AMG F1 bodykit and exhaust, this SLK can quite possibly be one of the nicest and lowest in town!